“MOM, I am fine. You take care.” This was what Justin Alexander Shetler always told his mother whenever he called her on his many travels away from the US. But the last time C Susanne Reeb heard those words from her son was last month. At the time, 35-year-old Shetler — an adventurer, social worker and travel writer — was in Parvati Valley in Kullu. “Wherever he went, including Nepal to help those affected by the earthquake, Justin always kept in touch with me. He used to keep me updated. This is the only time he hasn’t got back. I am in shock,” she told The Indian Express from Manali, a day after she arrived from the US to mount a search operation for Justin parallel to the efforts of the Himachal Pradesh police. 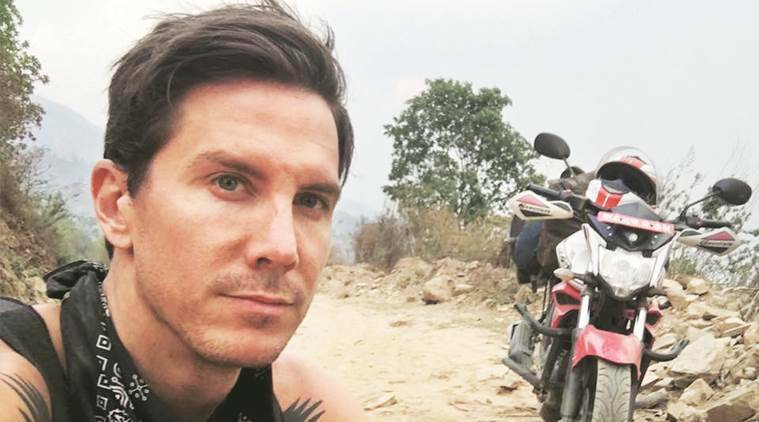 On Friday, the 65-year-old Reeb hired a private helicopter for an aerial reconnaissance of the area around Kullu where Justin was last seen — between Mantalai lake and Khir Ganga tracks. Jonathan Skeels, a family friend from London, who is helping in the search, flew with the helicopter team. “It’s only after Suzie (Justin’s mother) lodged an FIR Thursday that the police increased their search efforts. But they don’t have enough resources to requisition a helicopter or take up a search and combing operation to trace him. In fact, the police have already lost valuable time. It’s been over a month since he disappeared. The police made no tangible breakthrough in finding Justin,” Skeels told The Indian Express. Reeb had initially alerted the police about her son’s disappearance through email from the US last month. In the FIR, Reeb said Justin had stayed with a ‘naga baba’ in Parvati valley to study meditation. Thereafter, he went to Khir Ganga and Mantalai with the baba. He had told his porters (the baba’s men) that he wanted to go back to the base camp, where his motorcycle and other belongings were kept. He parted ways on August 24, and was last seen on September 3 by porters in Parvati Valley. SP (Kullu) Padam Chand said efforts were on to trace Justin. “Two persons, including the baba and his Nepali porter Anil, have been detained for questioning. I have written to the government to requisition a helicopter for search operation as the terrain is tough.” In the past 10 years, as many as 20 foreigners have gone missing and are still untraced. In her FIR, Reeb has said she suspects that the baba and his men may have kidnapped Justin.